One of the many decisions home buyers have to make is to decide between choosing a fixed and variable-rate mortgage. With rates being so low, it confuses buyer now as may be the time to choose to go variable. By choosing a fixed-rate mortgage, you are locked into an interest rate and your payments stay consistent over a given term and period unless you decide to use other options allowed under mortgage terms and your agreement. For first time home buyers taking on a huge amount of debt, a fixed-rate mortgage may help them sleep a little better at night. The homeowner will be paying more in interest, but they will know exactly what they will be paying for the entire mortgage term. The homeowner that chooses a variable-rate mortgage can expect payments to fluctuate as interest rates rise and fall. For that reason, the homeowner usually gets a better interest rate reflecting the improbability and increased risk. (As Finance Minister recently made comment over we can believe the interest rate may not be rising sharply in this near future, but you never know it can definitely fluctuate).With the central bank rates barely changing over the past year, and not expecting to change any time soon, lenders have been closing the gap between fixed and variable mortgage rates. With the rate gap shrinking, it means it’s a good time to think about choosing a variable-rate mortgage, the buyer have more grip over the mortgage deals. There are a few factors that favour choosing a variable-rate mortgage. 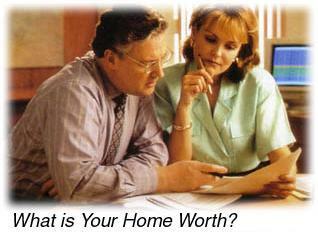 Over the last fifty years, variable rates mortgage have been approx. 1% cheaper than fixed-rate mortgages. The last time variable rates were at a disadvantage compared to fixed-rates mortgage was in the late 1980’s, when the rate get huge surge. Variable rates mortgage in Canada are near an all time low. Recently, The Bank of Canada indicated they’ll be keeping interest rates low as they are uncertain about the North American and European economy. Since the U.S. Federal Reverse promised to keep interest rates low through 2012 and 2013, and Europe is facing debt crisis, we can expect rates to stay low in Canada as Canadian interest rates usually don’t much differ from rates in the U.S. When it’s time to sell your house and you are not at the end of your mortgage term, it’s cheaper to break a variable rate mortgage than a fixed rate mortgage. Typically when you break a fixed rate mortgage the penalty is the greater of three months interest or the Interest Rate Differential. If you’re looking to break a variable rate mortgage you are only subject to a penalty of three months’ interest or better yet verify with your mortgagee, lender, bank, financial institution. One of the great advantages of choosing a variable rate mortgage is you can lock in all or part of your mortgage at a fixed rate anytime you want, when it is variable open. if you did locked in for variable rate for certain period, your mortgage obviously with variable rates mortgage are a riskier product to choose, but it’s a risk that can really pay off as well. If you’re not a risk taker, ask your mortgage lender broker if they offer a half fixed and half variable product. It’s better of both world 50/50 mortgages. TORONTO – Canada’s real estate market is now expected to grow this year rather than decline, as buyers take advantage of continued low interest rates that are intended to offset recent economic turmoil, economists said Tuesday. The comments came after the Canadian Real Estate Association revised its 2011 national forecast for home resales, citing stronger than expected sales and higher prices in the second quarter. An earlier CREA forecast that called for a one per cent dip in sales this year from 2011. But the association said Tuesday sales should grow this year — albeit less than one per cent above 2010. CIBC deputy chief economist Benjamin Tal said recent stock market uncertainty due to the European debt crisis and the United States credit downgrade is actually helping boost sales in Canada’s real-estate market. Bad economic news abroad tends to keep Canadian interest rates low, he said. Since the European and American debt issues came to a head in recent weeks, economists have been predicting the Bank of Canada will leave its key rate untouched at one per cent until at least next year. That’s a change of opinion since last winter, when economists widely expected Canada’s central bank would begin hiking its rates sometime in 2011 as the economy strengthened — putting upward pressure on the price of borrowing. With the global economy now looking weaker than expected, and the U.S. Federal Reserve promising last week that it will keep its key short-term rate at an all-time low for another two years, the Bank of Canada is now expected to put off raising its short-term lending rates. “The uncertainty globally is really benefiting mortgage holders because it’s really postponing the increase in interest rates in Canada,” Tal said, explaining that when the stock market turns volatile, real estate becomes an attractive investment because of its security. Sonya Gulati, an economist at TD Economics said the bank is anticipating that sales will be a bit more subdued in the next two months, but buyers, especially first timers and immigrants won’t likely be deterred in the longer term as interest rates stay low. 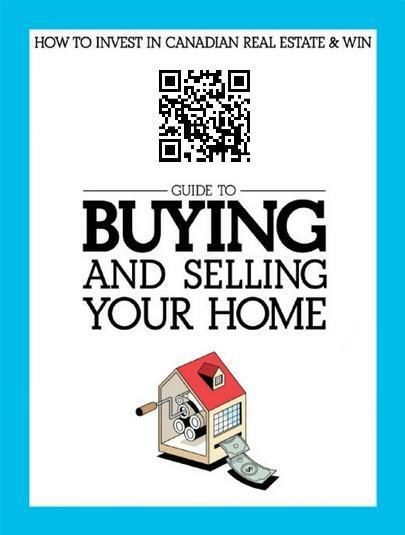 “People may be waiting to see whether or not they want to purchase homes, see if things turn for the better. It really has been a roller coaster for the last little while so we anticipate a little bit more subdued activity in August and September,” she said. Meanwhile, CREA’s chief economist Gregory Klump said it is too early to judge whether buyers are moving towards or shying away from real estate due to volatile stock markets. But he said historically, real estate does well during times of uncertainty. “During periods of financial market upheaval the Canadian real estate market has remained far more stable,” he said, adding that even though some investors put off buying high end homes during the financial crisis of 2008 and 2009, those buyers returned to real estate soon after recovery began. Overall, CREA said Tuesday that 450,800 housing units are expected to be sold across Canada under its Multiple Listing Service in 2011, and the average selling price will be slightly higher. In May, it had estimated 441,100 units would be sold through the MLS. About 90 per cent of home resales in Canada are listed on MLS. Meanwhile, the association said it was revising its sales expectations for 2012 downward to 447,000 units, roughly on par with the 10-year average. On a regional basis, British Columbia’s 2011 sales forecast has been revised slightly higher as home sales in the province appear to have bottomed out soon than predicted, while stronger than expected activity in Ontario is expected to offset slightly softer than anticipated demand in Quebec, Manitoba and Newfoundland and Labrador. CREA said it now expects the national average home price will rise 7.2 per cent in 2011, to $363,500. The previous estimate in May was $352,500. The upward revision reflects increases in the second quarter in Vancouver and acceleration in other parts of the country, particularly Toronto. Vancouver has experienced a surge in multimillion-dollar home sales this year. CREA said the two markets have a high number of sales and average price, so they play a big part in influencing the national average. Additional new listings should also result in a more balanced resale housing market in most provinces, with the national average price forecast to stabilize in 2012. Earlier this week Finance Minister Jim Flaherty said that the nation’s housing market is starting to cool, but a couple of hot spots still remain. According to Flaherty, the market is moderating from a national perspective but Vancouver in particular is really on fire, with Canadian house prices reaching a high after the economic meltdown, spurred by low rates and a strong banking system. Flaherty told parliament on Monday that we are in a different place than the US where a prolonged housing crisis could unfold. He says that it’s not the case here in Canada because our Government keeps its fingers on the pulse of the housing sector to ensure things stay on track. This all coincides with Mark Carney’s speech last week at the Vancouver Board of Trade. Again, he avoided saying we’re in bubble territory, but stated that we are heavily indebted and that house prices are 13% above their pre-recession peak. With this, he cautioned that the Bank of Canada will eventually raise its benchmark rate as soon as possible to address the speedy housing activity. People are spending at a much faster pace in a low interest rate environment, but the key point to consider is that these rates will rise and affordability will diminish. Flaherty has stepped in a number of times since the recession and implemented new rules to help stem the fast pace of growth, looking to avoid the dreaded bubble and subsequent collapse as witnessed by our neighbors to the south. 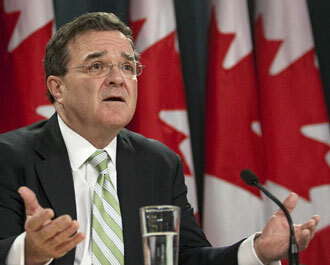 The big statement from Flaherty was that from time to time the market needs to be calmed down, and basically with the last three rounds of changes they’ve accomplished what they’ve set out to do and we can expect the Government to lay low in the near future. Along with the changes in policy, the future increase in rates will do its own to stall the marketplace. The Bank of Canada’s bi-annual Financial System Review released this week noted that such a long period of low interest rates may fuel excessive risk-taking, remarking that as a country we are more vulnerable to interest rate shock since their last report in December of 2010. However, according to recent numbers from Statistics Canada, Canadians are still sliding further into debt as of the last quarter. This is the result of the super low interest rate environment we are currently sitting in. Even though the extension of credit has started to slow, we’re really swallowed by debt with a debt-to-income ratio of 147%, meaning for every dollar of income we are in debt $1.47. The good news is that in a recent survey by CMHC that many Canadians are preparing to adjust to higher interest rates by budgeting their finances and preparing for things like job loss and interest rate hikes. So even though we’re at peak levels of household debt, both Carney and Flaherty believe that the recent changes regarding the mortgage industry and the impending interest rate hikes will be more than enough to cool our housing market and credit markets to a more sustainable level.